DAY 21: Our last use of the gravy was for a Simmered Pork Roast back on Day 10. I left home on court circuit just after that but my wife re-heated the sauce on Days 14 and 18 during my absence to keep it fresh…. The first step is to pour about a quarter cup of boiling water over the whole fennel seeds and peppercorns and let them sit for about an hour or so. 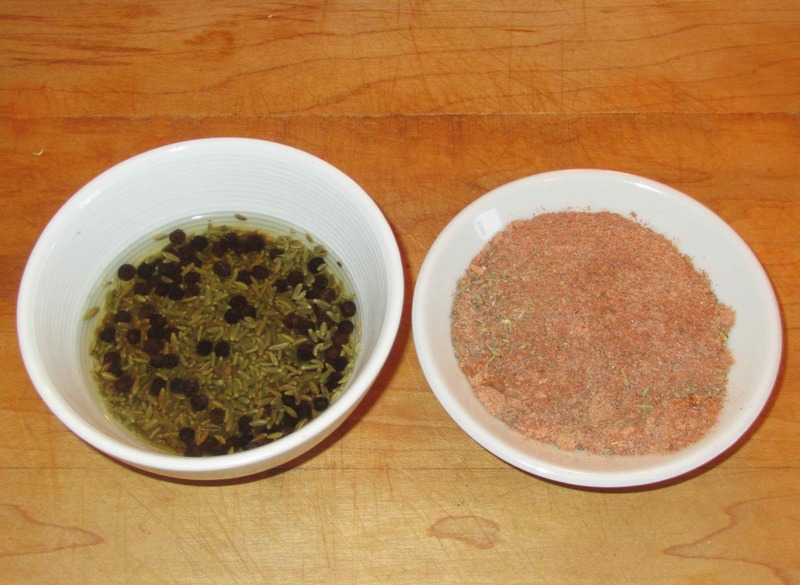 At the same time, you can grind the sugar, salt, and the remaining dry herbs and spices into a fine powder. 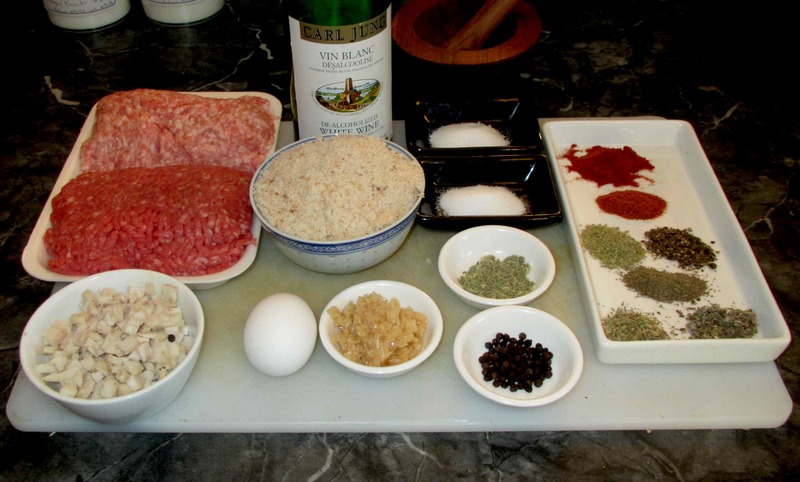 When the peppercorns and fennel have soaked and are softened, beat your egg in a large bowl and then mix with the meat and diced fat. Add the powdered spices, the soaked seeds along with their liquid, the wine, the garlic, and the breadcrumbs, and continue to mix, stirring until you have a homogenous mass that is beginning to get sticky. Now, put the mixture into the freezer for about twenty minutes or so until it firms up to make the sausage formation easier. I toyed with the idea of making one big sausage that would yield slices about the size of the typical cold-cut slices you get in pre-packaged salami etc., but I thought that the result might be a little hard to handle so I compromised and made two smaller ones. 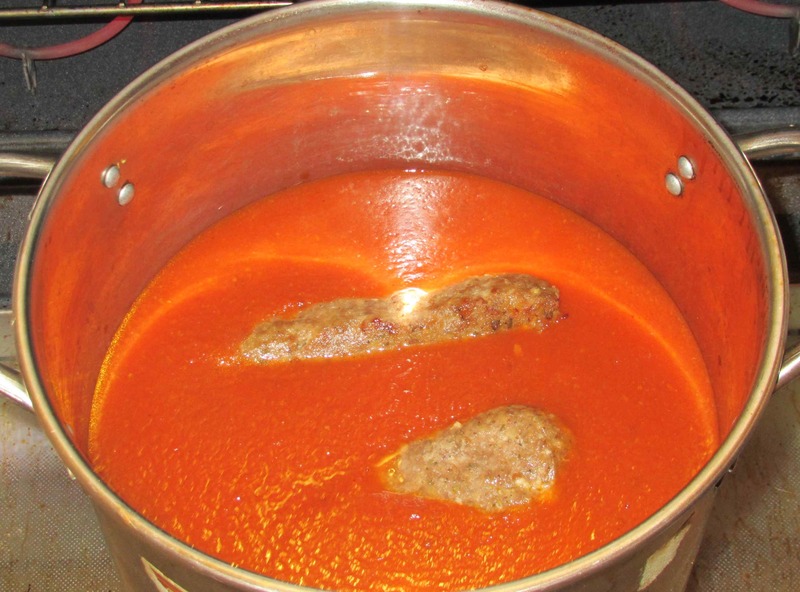 When I cooked the meatballs in the earlier experiment, I precooked them in a 350 degree oven for about twenty minutes. These sausages are quite a bit bulkier so I went to 400 degrees and cooked for about 35 minutes, turning them once, until they were nicely browned. 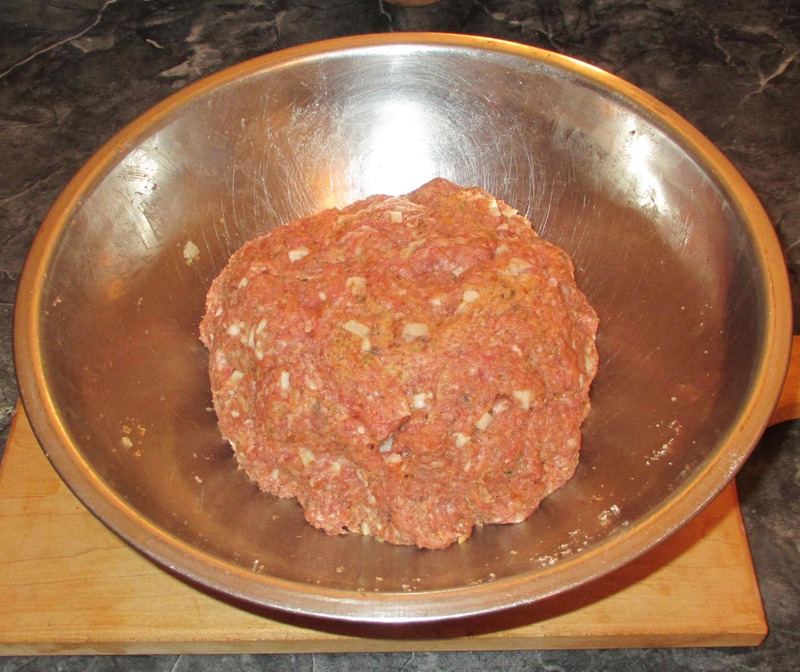 As with the meatballs, they will still be raw in the very center, but this operation will help add flavor and make them hold together during cooking in the gravy. Rather than heat the sauce on the stovetop, which risks it cooking to the bottom and giving a bitter, burnt flavor, I heated the pot in the oven until it reached a simmering temperature and then lowered the sausages into it. I allowed them to cook in the gravy for about almost two hours. At the end of the cooking time, I removed the sausages and let them cool. Well, the verdict here is actually a dual one… The sausage wasn’t bad. It was very tasty but the texture wasn’t quite as good as I hoped. Indeed, it wasn’t quite as good as it was with the meatballs and I think that upping the breadcrumb amount is responsible. I rather thought that a little more binder would be an improvement but instead it detracted from the same result. I generally enjoyed it but I think I can do better. 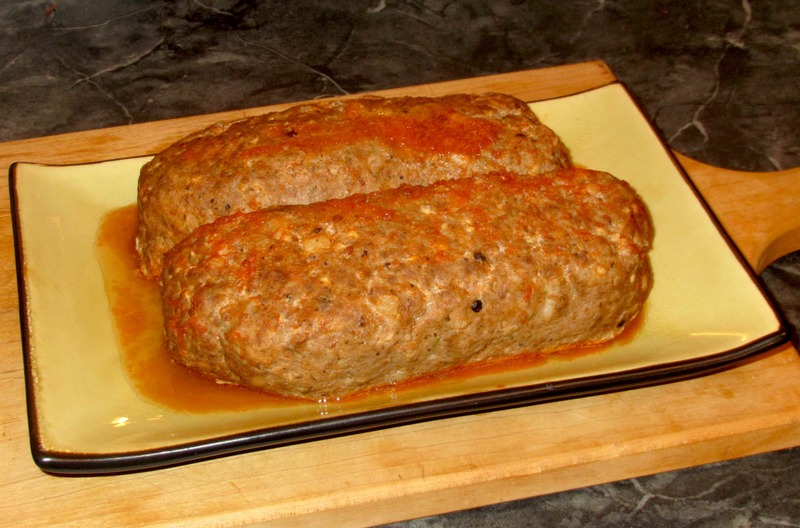 oh gosh this looks amazing~ kinda reminds me of meatloaf lol. xD Ill have to try the gravy. 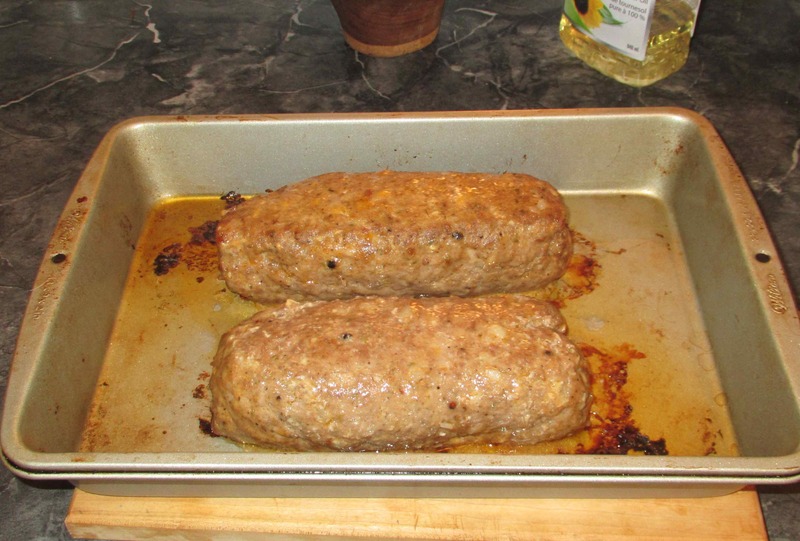 Well … it really *is* a sort of meatloaf. I was trying to get a very firm ‘sausage’ texture. For my meatballs, I used just a cup of crumbs for the same amount of meat. I’d do that again, I think. There are many cultures where a ‘mother sauce’ is maintained to cook stuff in, sometimes for decades. Famous examples are yakitori sauce and court stock for lobster. When a stock is still light it extracts flavor from what you cook in it, but once it gets going it will be more giving than taking. Wonderful post! I’m running behind a bit and will catch up on the earlier gravy experiment posts. Question: why the extra lean beef combined with pork fat? Since most of the flavor is in the fat, I wonder why you made this choice. Did you want more porky rather than beefy? There is also the ‘lao shui’, or ‘old water’ in Chinese cookery… also known as a ‘master sauce’. Some are claimed to have been going for generations! I chose extra lean because I find some beef fat gives a really greasy mouthfeel and taste I’m not keen on … unless you are grinding yourself, you can’t tell what has gone into the mix. So the beef fat has a more/different greasy mouthfeel than the pork fat, interesting. Actually … I was more concerned about the effect on the ‘gravy’ rather than the sausage. I wouldn’t cook beef short ribs in it for the same reason… just a personal quirk of taste, I guess. Your experiment has been so interesting. Your kitchen must have had wonderful aromas from all the seasonings in this dish. 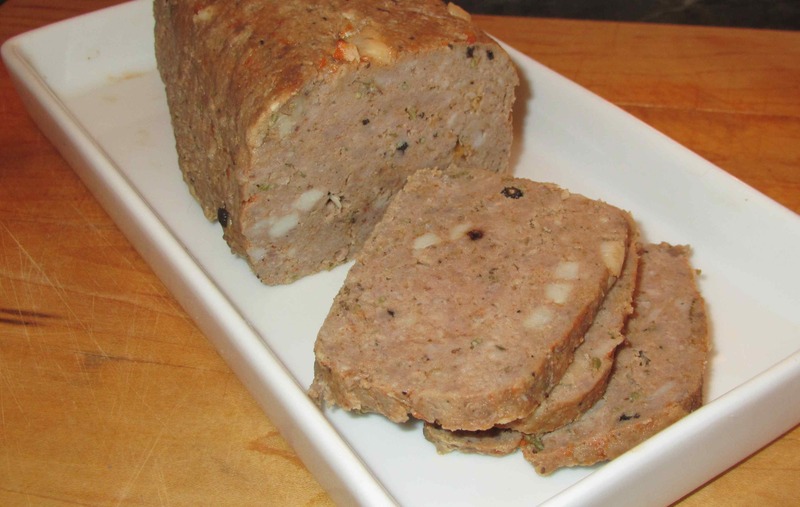 Actually, the whole point of the experiment was to try and mimic the texture of a firm sausage to see if I could get really thin slices…. still it did taste good! Not quite LOL … but I am having fun with it!